The Wayfarer Restaurant has been serving local specialties since 1977 – one of the first on the Oregon Coast to offer a locally sourced menu. Executive chef Josh Archibald serves a delicious menu for breakfast, lunch and dinner. 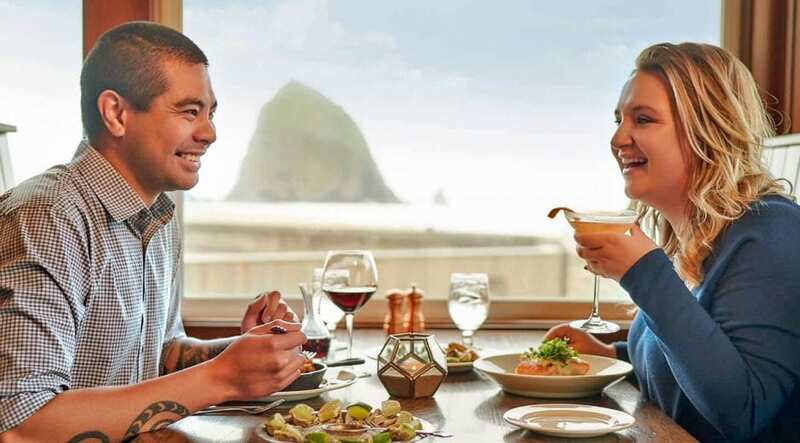 With a picture-book dining room view of Haystack Rock and the Pacific Ocean, the ambiance showcases the beauty of Cannon Beach. Our menu rotates with the seasons, and our Whiskey Bar and Lounge serves up craft and classic cocktails. Seven days a week, 8am to 9pm.